Posted July 28, 2016 by Guest Writer & filed under Events. Based on Kevin Bacon’s hit 1984 movie, Footloose: The Musical first opened on Broadway way back in 1998. Featuring original songs by Tom Snow and Dean Pitchford, the show also tears through a number of classic ’80s tracks, including Holding Out for a Hero, Almost Paradise, Let’s Hear it for the Boy and, of course, that crowd-pleasing title track (several times!). 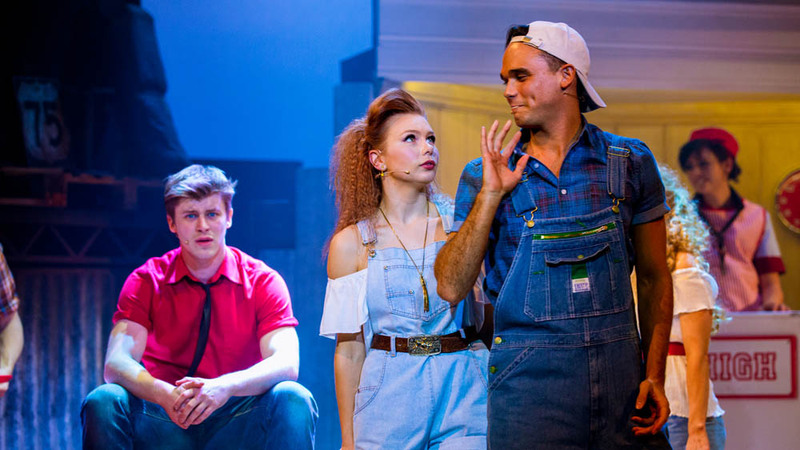 While it’s Pop Idol star Gareth Gates and Maureen Nolan (Blood Brothers) headlining the posters, the show really belongs to Luke Baker as city boy Ren, Joanna Sawyer as Rusty and Nigel Lister as Rev Shaw Moore. Baker swaggers his way through the part made famous by Kevin Bacon with an endearing vulnerability, while Sawyer lights up the stage with her energy every time she appears and Lister is perfectly cast as the grieving Reverend. It’s hard to know what to make of Gareth Gates’ take on Willard. It’s fair to say he went down a storm with the audience, but the broad performance felt wildly at odds with the rest of the cast and provided some seemingly unintentionally surreal moments. Perhaps the cast were distracted by various technical difficulties, with mikes cutting out on several occasions, but Footloose: The Musical just wasn’t as slick as it could have been. For a show that’s all about dancing, the choreography was sadly underwhelming, while the cast struggled to make some of the jokes land in the first half. Fortunately the second half was considerably stronger and a rousing reprise of the most popular numbers at the end ensured that the crowd went home with a spring in their step. Performed on Wednesday 27 July 2016 at Theatre Royal Brighton.